Book Lovers 4Ever: TRAP AND TRACE by Megan Carney, Blog Tour & Giveaway !!!!!!! 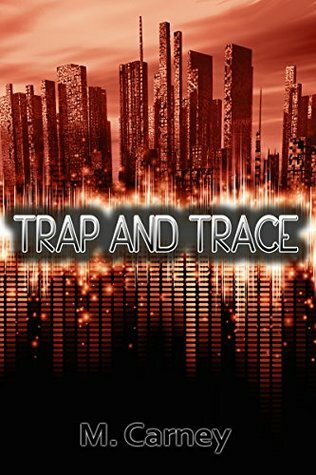 TRAP AND TRACE by Megan Carney, Blog Tour & Giveaway !!!!!!! A room with a tripod and sheets covering the walls. Sheets to cover the walls so no one would know where the filming was done. An execution. Like Daniel Pearl. She dropped her gaze to her lap so he wouldn’t see her anger or desperation. The Brit’s machine gun still sat in the corner, tempting her. No, if she had any chance of saving them she had to pretend compliance. The thought itself was poison. She promised herself that if she could not escape, she would dig her nails into his face deep enough to leave a scar. The cart driver yanked her out of the chair. His other hand was on the machine gun, flicking a small lever above the trigger up and down in an irregular rhythm. The safety? As if she would ever get close enough to the gun for it to matter. She was pushed into the hallway and led back to the room with the sagging mattress. He didn’t lock the door when he closed it. The guards Moss had mentioned would keep her here if she tried to leave. She sat on the bed until Cart Driver’s footsteps faded. The game. The questions. She went over to the armoire to finish her search. It was empty, not even a speck of dust inside. She had some stereo cables, a few paperclips, two rubber bands, one mirror, and thirty-six hours to escape. Moss and Sara had a filthy bucket and an unknown amount of time to live. The sun was directly above the house now; the sparse landscaping in the yard cast no shadows. Soon it would pass to the other side of the house. Tonight she would be afraid of the dark.